This past weekend, we celebrated my eldest son’s 6th (I can’t believe it!) 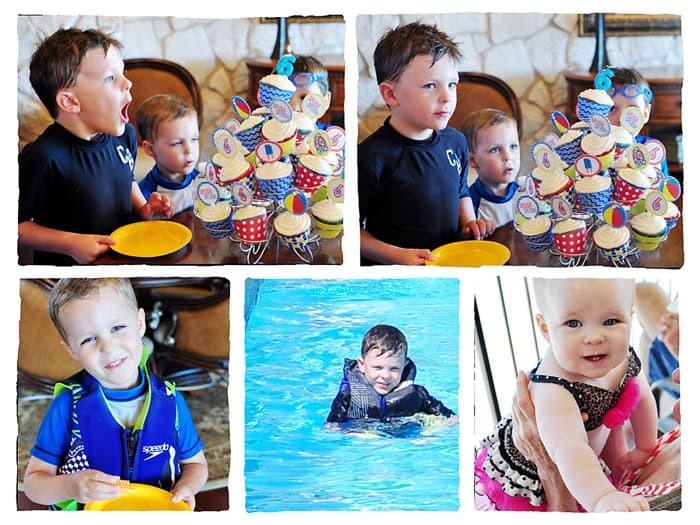 birthday with a fun summer pool party. It’s the best kind of party to beat the heat when your birthday falls in August! 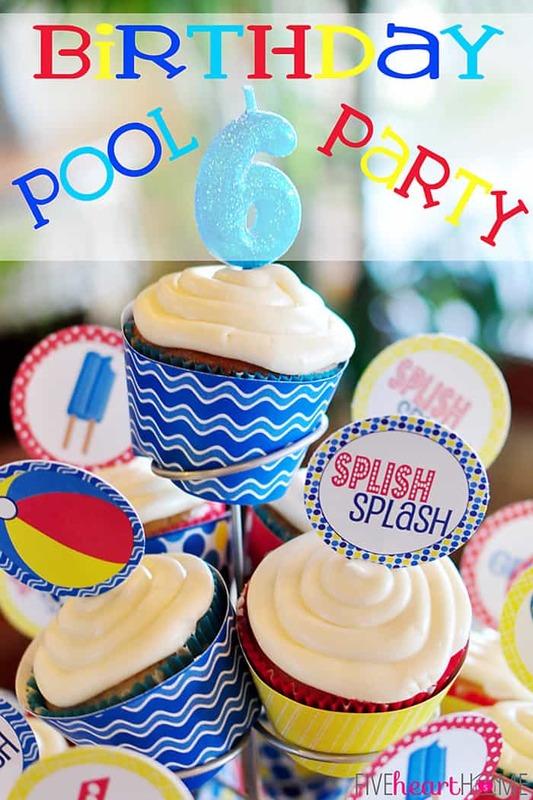 I found the cutest set of Pool Party Printables from Mimi’s Dollhouse (they come in pink as well! ), so I ran with this primary-colored pool party theme. 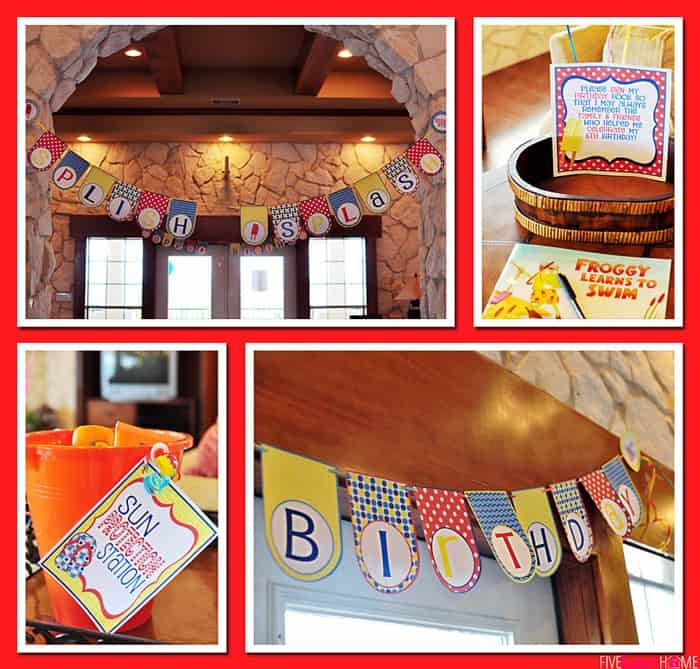 I used to create my own printables for birthday parties, but there are so many amazing, affordable printable sets out there these days (and way nicer than what I could make) that I’d be crazy not to save myself some time. Goodness knows it takes long enough just to cut the suckers out and put everything together… The party started mid-morning, so my son and his friends expended some energy splashing and swimming for a couple of hours before heading back in for snacks, pizza, and my family’s very favorite cupcakes. I had fun coming up with pool-themed snacks and customizing the labels accordingly before printing them out. 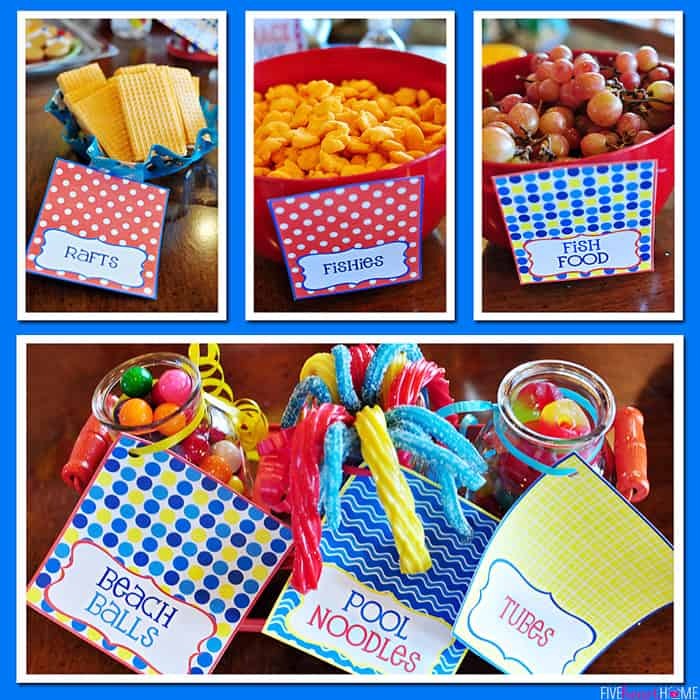 As a result, the kids munched on rafts (wafer cookies), fishies (Goldfish cheese puffs), fish food (grapes), beach balls (gum balls), pool noodles (Twizzlers & Sour Patch Kids Straws), and tubes (gummy Lifesavers). 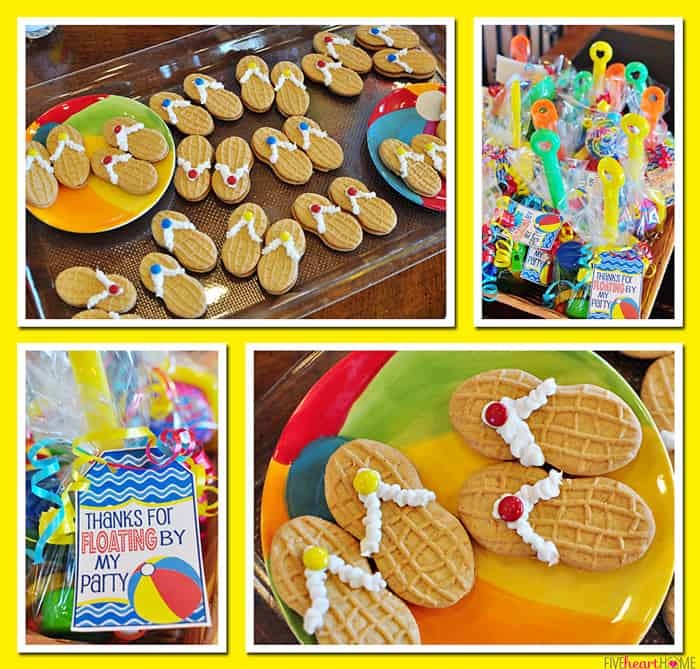 They also enjoyed some Nutter Butter flip-flop cookies (decorated with mini M&Ms), and party favor bags were stuffed with a sand shovel, a small pool toy, and a bubbles set. I had some additional beach balls, pool noodles, and tubes on hand for the party, and I put together a bucket full of sun screen in case anyone left theirs at home. One of my favorite birthday party traditions that we’ve started in our family is setting out a children’s book as a guest book. I pick out a book to match the party theme and ask each guest to sign his or her name and write a special note to the birthday child. Then the book goes back on our bookshelf. My kids love reading all of their special birthday messages from family and friends throughout the year! I think the birthday boy had a blast, as did his friends, cousins, and siblings! Lucky for these kiddos, our 2013 partying is far from over. Up next on the roster is baby sister’s 1st birthday in September followed by the middle child’s birthday in October. Guess I better get busy…the fun never ends around here! 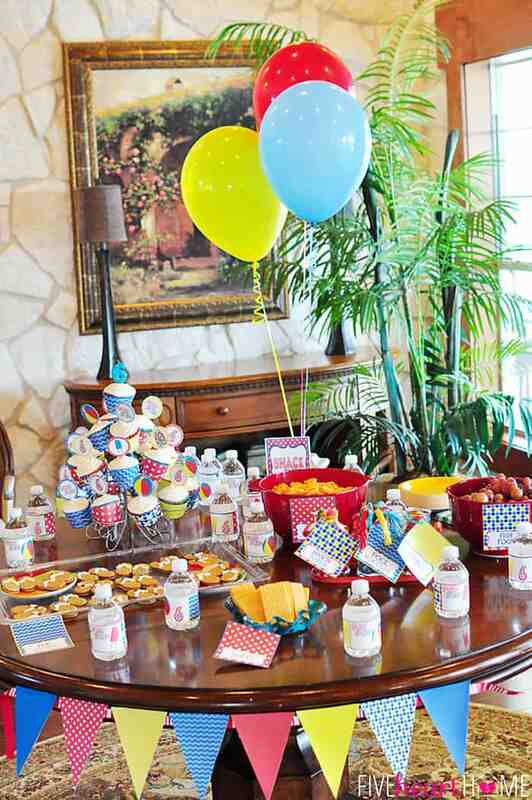 What’s your favorite birthday party that you’ve thrown for your kids (or that someone threw for you)? Looks like G had a blast and mommy too! Happy birthday, G! Thank you for sharing your birthday ideas! You did a fabulous job and I’m not surprised because you are so creative! 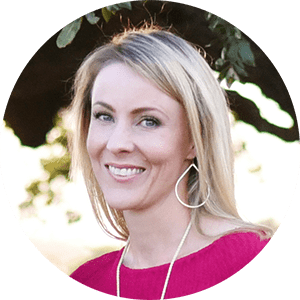 – My favorite party theme changes every year because I get to have fun creating a new themed party every year! My fav this year was RJ’s construction site party!! He loved it too! What a CUTE party! I love all of your creative food names. I’m sure your son had a blast! 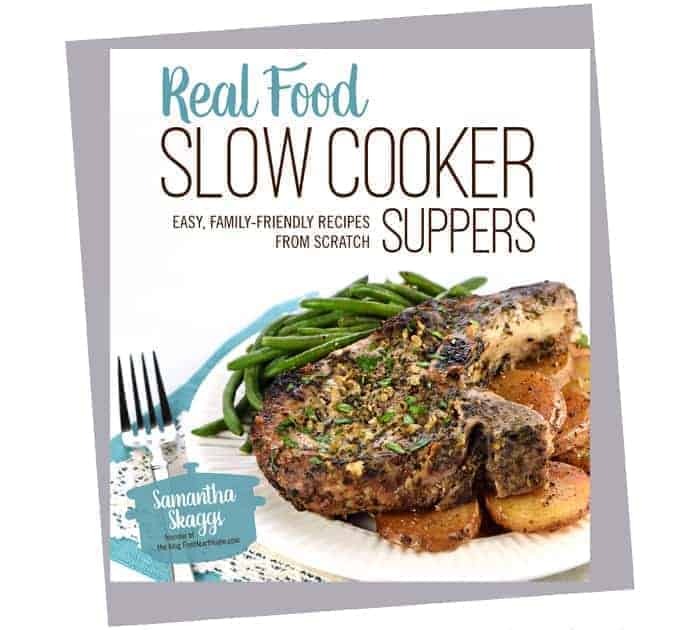 Thanks so much for the inspiration, Samantha! What a cute and fun party! My youngest would love this for his 1/2 bday party! His real bday is right after the holidays and he loves to celebrate it in the summer with the rest of the summer bdays. Summer time is bday season at my house! Love how you did all of the fun colors! i LOVE how you themed the food 🙂 FUN! Thanks for linking up to Monday Funday! 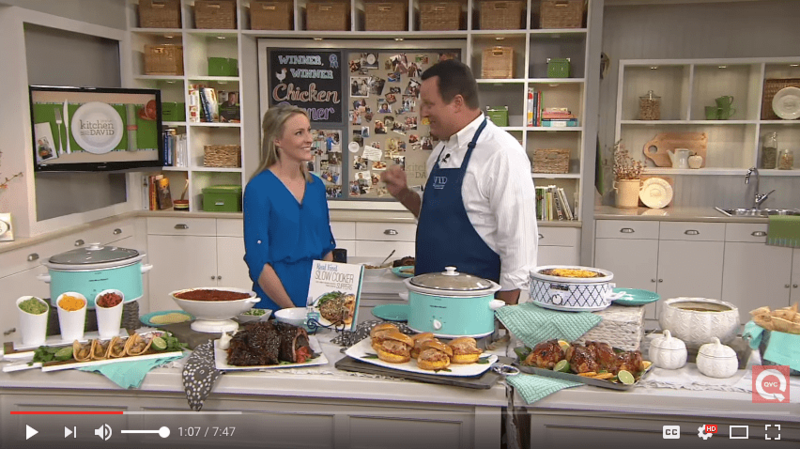 Thanks so much, Jamie…I appreciate you stopping by! And thanks for being one of the Monday Funday hostesses…it’s always a great party! Awesome Party! Thanks for linking up, I will be featuring this on my next link party. So excited when I saw your site. You are so creative. Precious pictures of the kids and great ideas. I passed your link to Megan. Max just turned 1 year so Im sure she will love your toddler ideas. Look forward to trying some of your ideas. Tell J hello from us.